Should Trump be annoyed about Russian, Chinese currencies? China has used management of its currency to shape its economy. It has devalued the yuan in the past, but recently has allowed its value to rise. NEW YORK — President Trump decided to weigh in on currencies and interest rate policy Monday morning. His message isn’t consistent with where things stand in global currency markets. And it’s not at all clear what signal he’s sending about a preferred policy. The comment about Russia is curious. While Russia is of course an important geopolitical player, its sclerotic economy and isolated financial system mean that it’s not an important player in global commerce. For example, the United States’ trade with Russia is a rounding error — $17 billion worth of imports in 2017 (Chinese imports were 31 times that high). And the ruble is not on the radar of currency traders, the way that, say, the British pound or Swiss franc is. It’s true that the ruble has plummeted against the dollar this month, falling about 8 percent. But that isn’t because the Russian government is playing some devaluation game. The ruble fell because stringent new sanctions on influential Russians are crimping demand for the currency. In the case of China, the accusation is outdated. 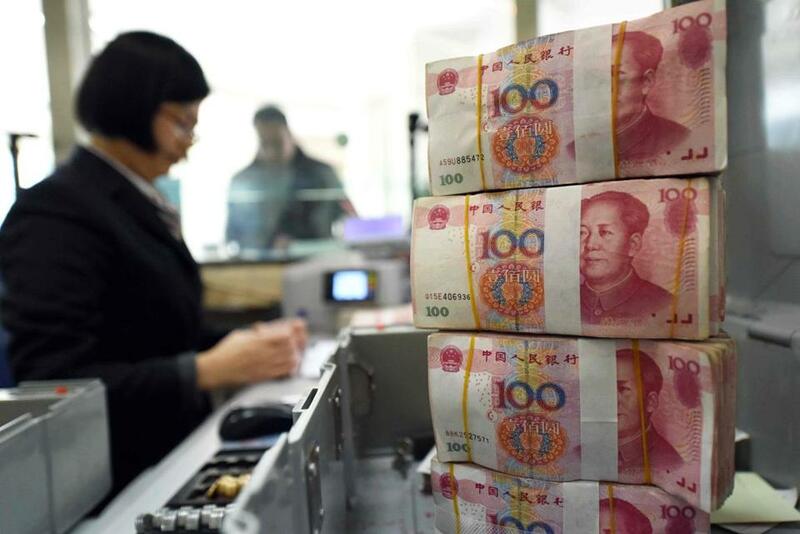 China has allowed the value of its currency to rise in the last year — to 6.3 yuan to the dollar from 6.9 yuan to the dollar last April. That is the opposite of a currency devaluation game. But the president’s statement has greater validity if you look over a longer period. China has used management of its currency to shape its economy. A decade ago, it was doing exactly what the president suggests — pushing the value of the yuan downward to give an advantage to Chinese exporters. That was implicitly acknowledged in a Treasury Department report last week that declined to name China a “currency manipulator,” as Trump often argued it was on the campaign trail. That report listed China along with Japan, South Korea, Taiwan, Germany, and Switzerland as countries the United States is monitoring for their currency practices. “China has a long track record of engaging in persistent, large-scale, one-way foreign exchange intervention, doing so for roughly a decade to resist” currency appreciation, the report said. As Trump threatens a trade war, China could use further devaluation of its currency as a tool of retaliation, though doing so would create risks to Chinese financial stability. “The US keeps raising interest rates.” This clause of the tweet suggests these devaluation games are happening as the United States raises interest rates. It is true that the Federal Reserve has been gradually raising interest rates in the last couple of years, and that you would generally expect higher rates to cause a currency to strengthen, which in turn can damage a country’s export sector. But the odd thing is these rate increases haven’t been accompanied by a rally in the dollar. It has moved in the opposite direction: The dollar index is down 9 percent since the first Fed rate increase in December 2015 and down 11 percent since Trump’s inauguration in January 2017. A key driver for this seems to be an improving global economy that is increasing the appeal of other currencies. The president is crystal clear that he thinks the current arrangements of global currencies and trade are deeply flawed. He has yet to make clear what his ideas are to improve them.